A Spanish lab gave a group of amateurs a combo of caffeine and carbohydrate gel and has found they rode significantly better than others who had smaller doses or none at all. The big hit of caffeine gave them staying power. But how big was the hit? The scientists from the Unversity of Alicante gave the volunteers measured amounts of caffeine for every kilo of their body weight. The doses were taken 70 minutes before the experiment. Then they had to ride easily for an hour, at 70% of their VO2 maximum, followed by a ramp test to exhaustion. Riders who’d had just 0.2mg of caffeine per kilo of their body weight didn’t perform any better than if they’d had no caffeine at all. Those who got a whopping 0.7mg per kilo of body weight were the clear winners at the end of the ramp test – riding significantly longer than the rest. The result tallies with another study, published last year by Birmingham University scientists, where 0.5mg per kilo of body weight was enough caffeine to give riders an advantage in a 45 minute time trial. Crucially, the Birmingham trial showed that instant coffee is just as effective as a special caffeine drink – as long as each it is drunk an hour beforehand. So, if you know your body weight, just multiply it roughly by 0.6 to see how much caffeine is going to help you an hour down the road. If you’re a lightweight, you’ll need about 35mg. Heavyweights may need up to 60mg. The trouble is, while caffeine drinks are often labelled with their caffeine quantites, coffee isn’t. It varies from brand to brand and even within the same chain of coffee shops. Tests by Glasgow University show that some shop-bought espressos contain up to 300mg and others only 50mg. The Department of Health reckons an ordinary mug of filter coffee has 140mg of caffeine – although they can be far weaker. So the answer’s simple. 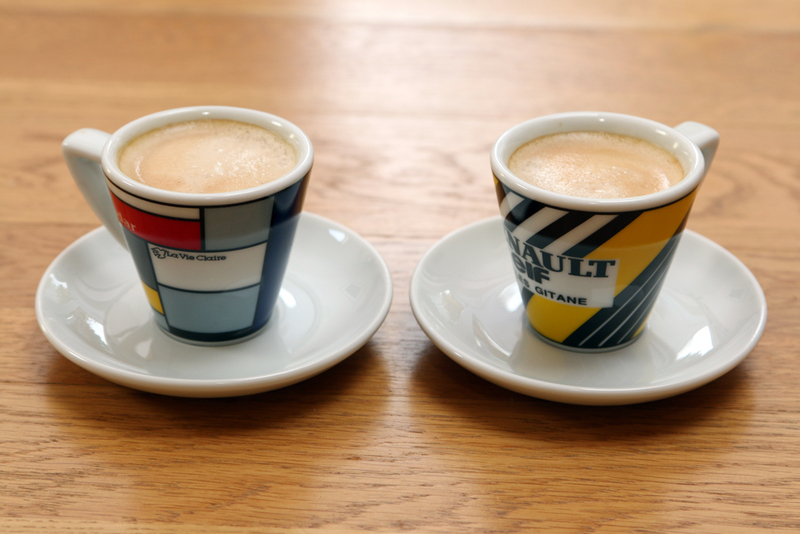 One good strong cup should be more than enough to boost your ride. Just don’t overdo it – health experts reckon 400mg a day is the safe maximum.